MovieBox is now available to download and use on iPhones and iPads running iOS 10, 10.2.1, and even iOS 10.3. For those who don’t know, MovieBox is an increasingly popular app, which acts as a portal to providing users with free access to a slew of movies and TV shows on an installed iPhone or iPad. This is great news for those who want access to this type of functionality, but don’t want to go through the process of jailbreaking their iPhone or iPad. The latest version of MovieBox is available via vShare, and can be downloaded to an iPhone or iPad via the usual methods that saw previous versions of the app accessed so many times. If you’re new to the world of MovieBox, then you need to be aware that accessing and installing the app isn’t quite as simple as performing a search in Apple’s iOS App Store and hitting the “Install” button. Due to the nature of the service, and the fact that it simply wouldn’t be allowed on the App Store due to the number of guidelines that it contravenes, the installation process can be a little convoluted and alien to those users who aren’t used to installing certificates onto a device to get software of this nature pass Apple’s security mechanisms. 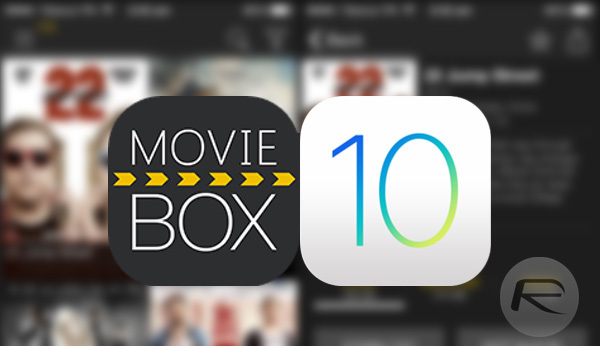 If the world of Enterprise Profiles is entirely new to you then you may encounter a little issue when trying to install and run MovieBox app on iOS 10. Apple doesn’t really want iOS device owners running apps like MovieBox onto their devices, and probably rightly so in all honesty. So, to that end, iOS 10 users could potentially see a message stating that the app is offered by an “Untrusted Enterprise Developer”. This is essentially iOS saying that this installation comes from an unknown source and that it isn’t happy to let it run until you explicitly give the permission to run it. If you get this message, it simply means that you need to head to Settings > General > Profile (this will only exist as a menu option if you have a profile installed). Select the certificate in question, and then click on the “Trust” option. That should allow the app to run smoothly on iOS 10. Update: You can now also install MovieBox using TutuApp, instructions for which can be found here: Install TuTuApp Helper On iOS 10 Without Jailbreak [No Computer Required]. I downloaded Moviebox, but there is no download button to download movies. It only has the watch/stream movies button. is there a fix for this? Is there official webpage for movie box/show box? Can’t find anything about them directly except on some 3rd party site.